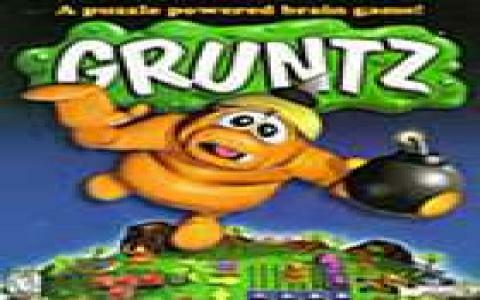 Gruntz is a very fun and humorous family game that will remind most gamers of the famous arcade game Lemmings, but with a twist, which includes combat elements and much more complicated gameplay. The poor Gruntz are stuck in an other dimension and, like in Lemmings, you have to guide their way back home. But things are a bit more complicated than they seem. 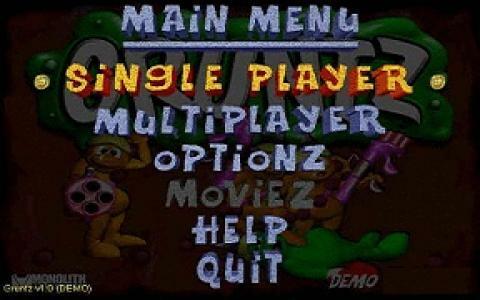 Gameplay is a bit complicated to explain but if you choose the Quest mode you have a couple of training levels that get you acquainted with the vast and complicated gameplay which is, little to say, hillariously fun. Press switches and solve puzzles to get the Gruntz to the end of the level. 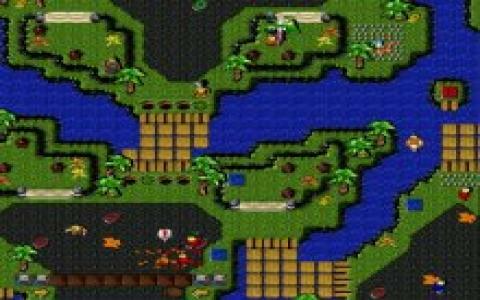 On your way you may find some enemies, and here is where the game differs from Lemmings. You have a combat option where you choose your weapon and destroy them. After the few very easy levels, the game get very hard and challenging, so be prepared for a lot of nerve grinding! After you've completed the quest mode, you can go to the Combat mode, where you have to strategically fight against the upcoming enemies. You can save your game at any moment, so you can try different strategies and see what works best. The game is great fun and, with very appealing graphics and a top down view system, very pleasing to the eye. Highly recommended!